At the 2009 MRA First Outlook Conference, Owen Shapiro of LJS Associates and Tom Malkin of GeeYee, Inc. presented "The Impact of Social Media on Market Research". In order to better understand the strengths and weaknesses of social media research, LJS conducted phone and social media research into the Tropicana unrepackaging incident. Earlier this year, Tropicana rolled out repackaging that many shoppers complained looked like a generic brand and made the product much harder to find on store shelves. The resulting pushback led to Tropicana to revert to its earlier packaging. To study this, LJS surveyed 1,000 U.S. consumers by phone and online and then weighted the results to be demographically representative. 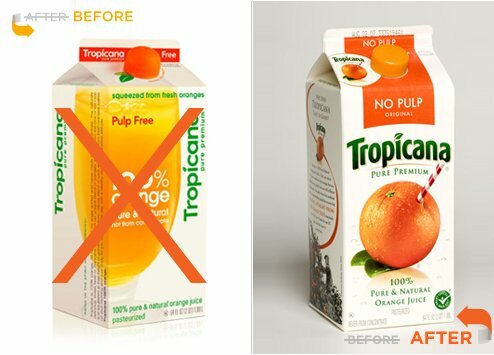 Fully 20% of consumers surveyed had noticed the new Tropicana packaging; of these, 32% liked the packaging, 32% were neutral and 27% were negative. Only 1% of consumers had posted online about the packaging. I'm flattered you found this interesting, and I thank you for posting it. However, I didn't give you permission to reprint the entire post - would you cut the article before the first bullet list with a link to the original? Thanks for your comment. Most of the blog posts you write are relevant to this english-spanish speaking community. Next time I'll ask you before reprinting even partially your original ideas. P.S. Your work is a great source of inspiration and learning for hispanic online researchers. Keep on sharing! You can always quote part of any blog post without asking me - just not all of it! Thanks so much - I'm glad you find the work useful.